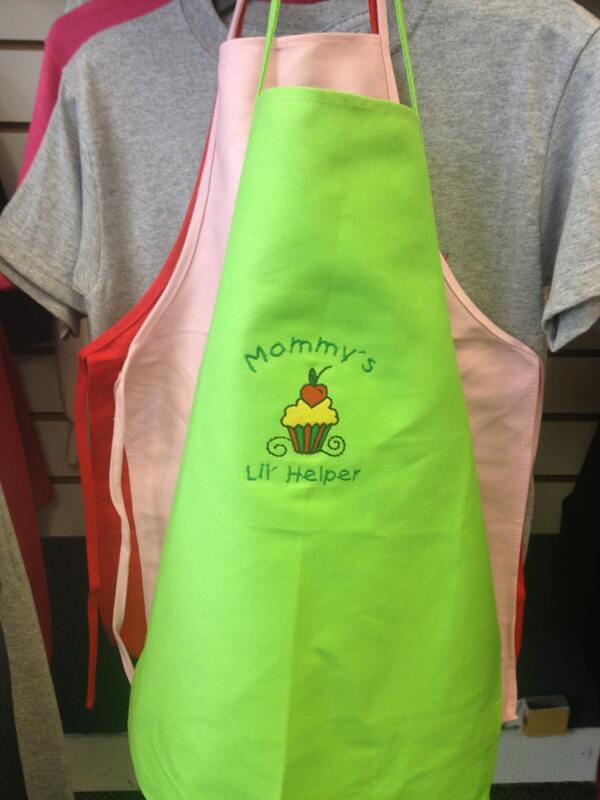 These sweet toddler aprons simply state "Mommy's Lil' Helper." with a cute cupcake in the center of the text. 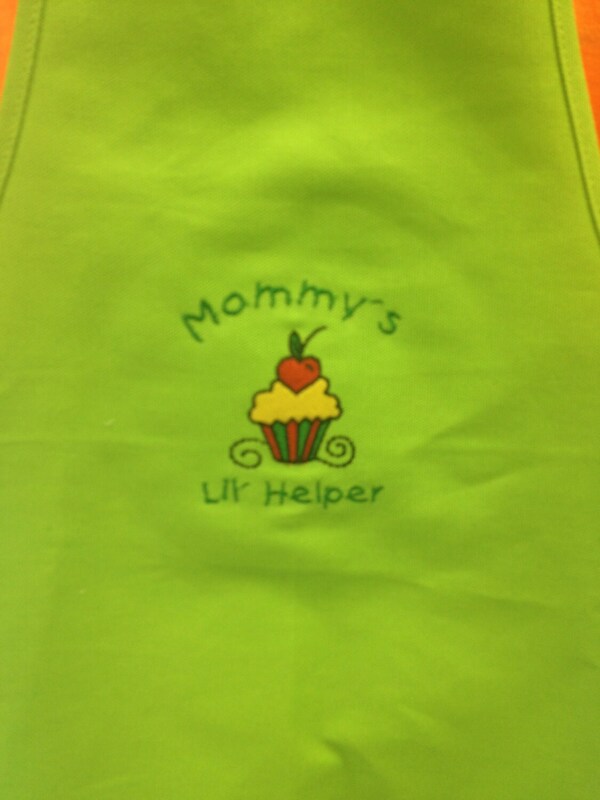 The aprons are available in green apple, red, and pink. 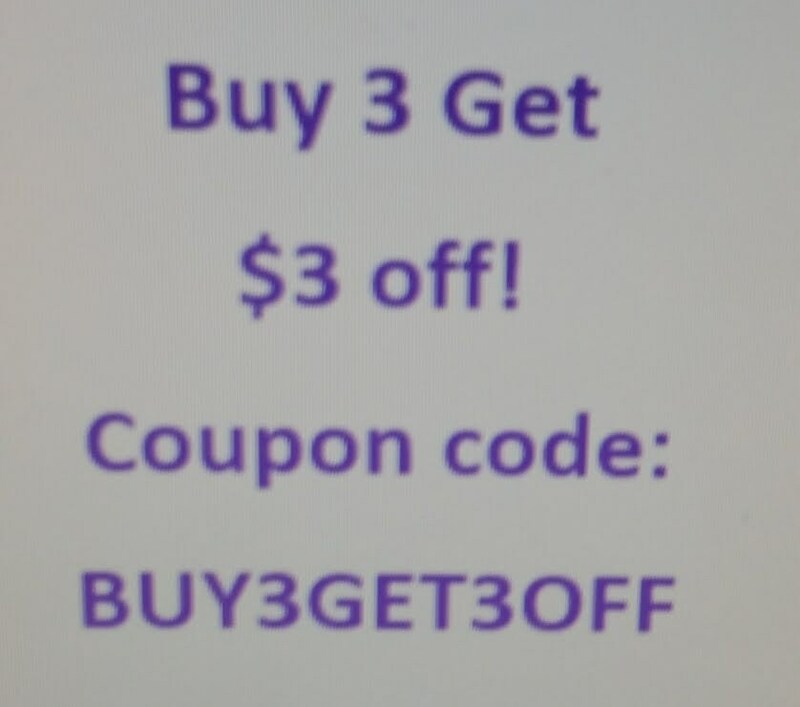 They fit smaller children, preferably toddler age up to 6. 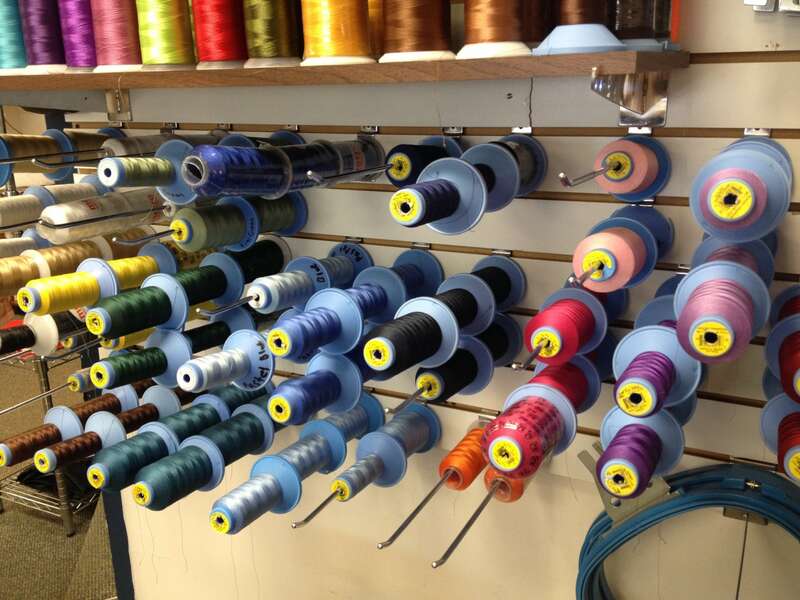 They are 100% cotton and measure 16" wide and 20" from neck to the bottom. They can be personalized for their birthday, holidays or everyday use. If you have a custom request, please feel free to send me that request and we'll see if we can meet that request. 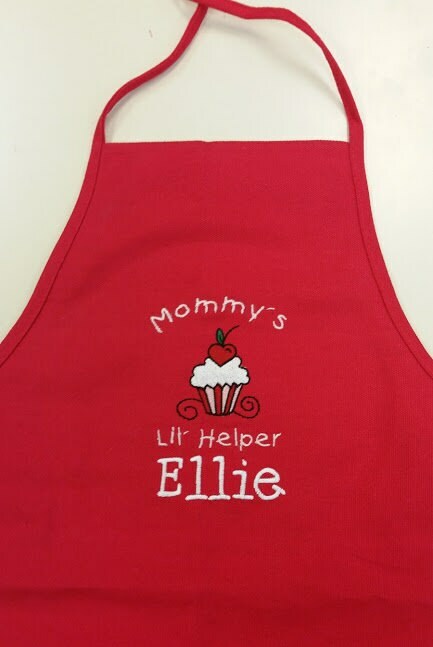 Other options for the aprons could be embroidering child's name, initials, or other design that fits their personality. 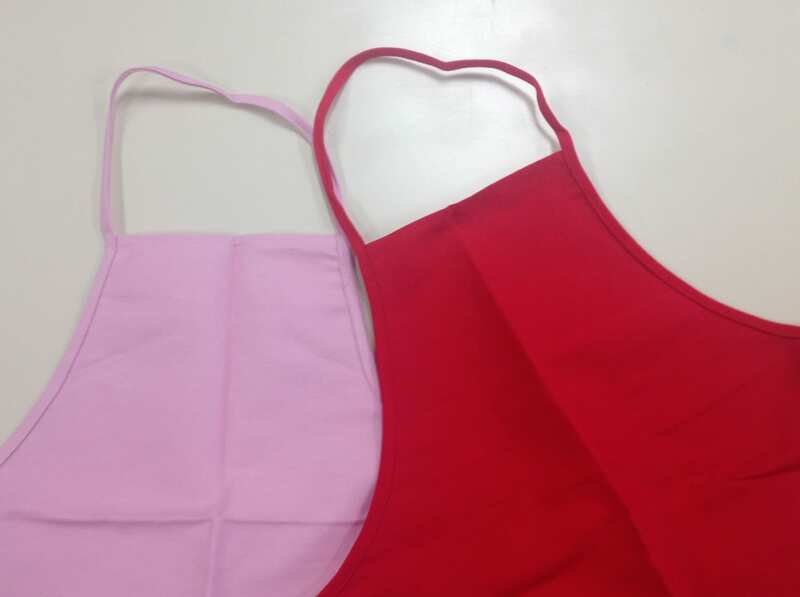 When you order, please state in the buyer's notes what color thread you would like to use for the text and if you want to change the color of the cupcake, let me know that as well along with the color scheme you'd prefer. 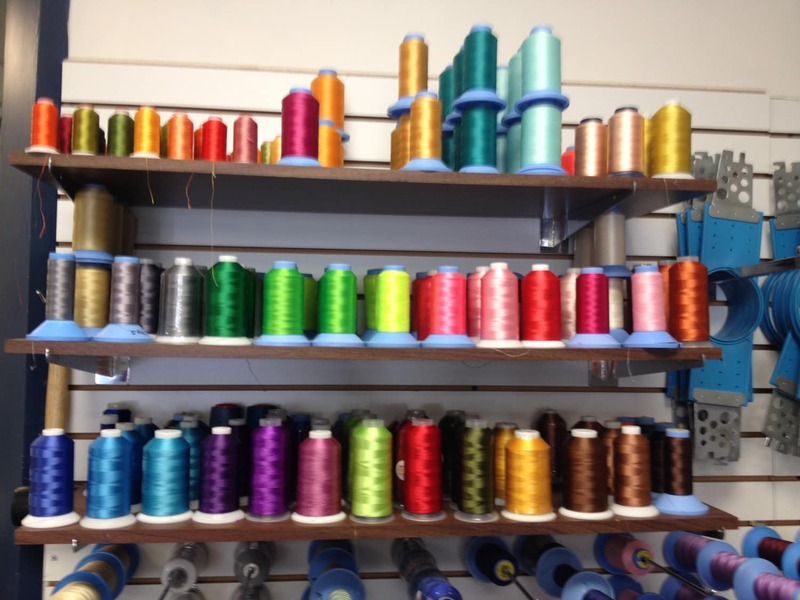 I have a few pictures listed of thread colors I have available.